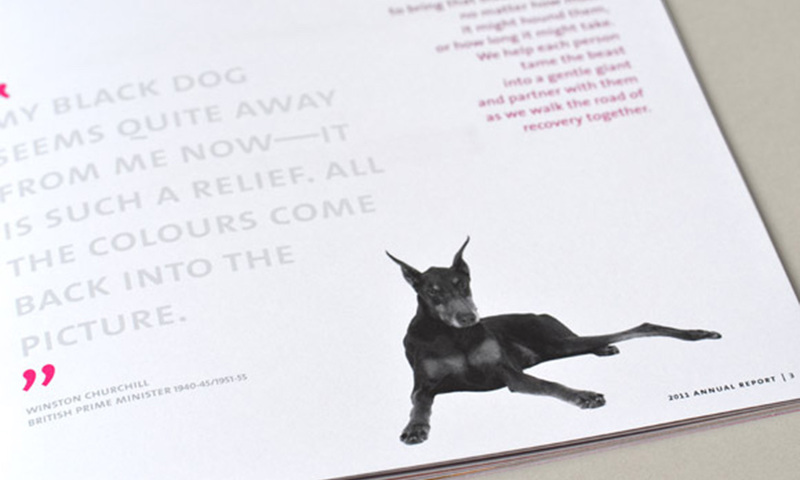 British prime minister Winston Churchill famously described his depression as his “black dog,” which hounded him relentlessly, even during the Second World War. 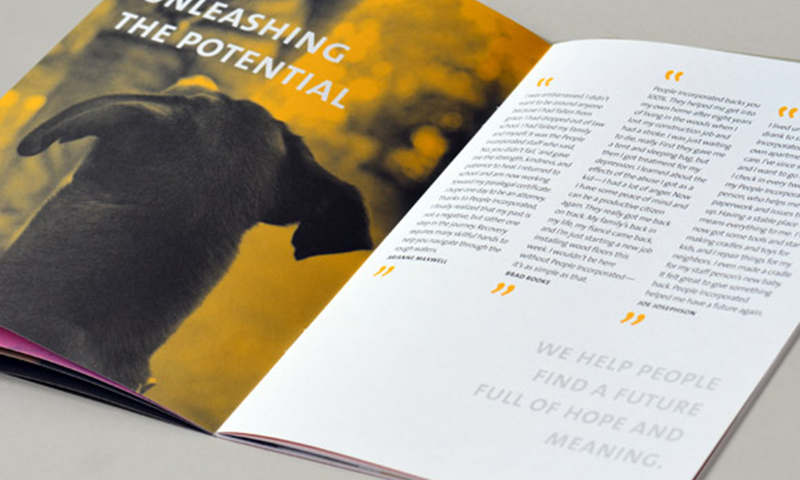 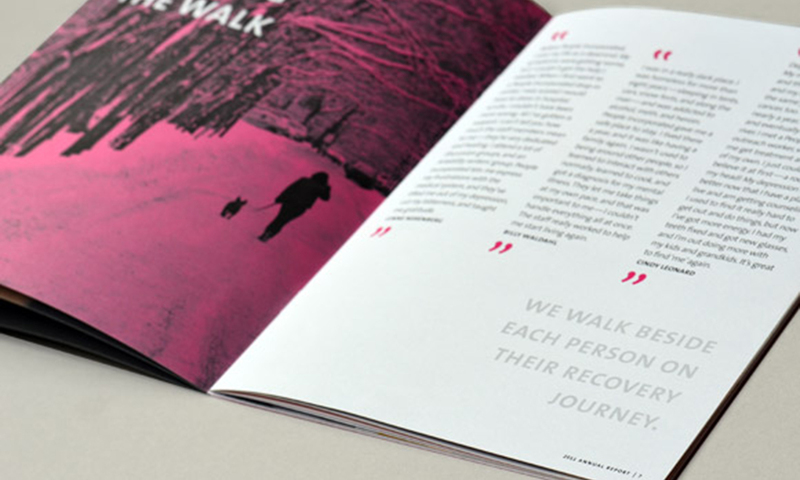 Taking the “black dog” of mental illness as a theme, we helped People Incorporated Mental Health Services pose the question: What greatness would we unleash if every person had access to the support they needed to live up to their potential? 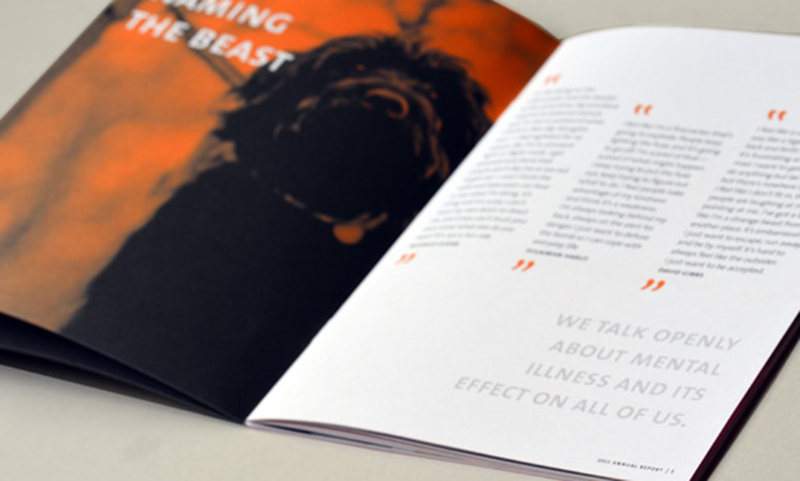 We balanced our threatening black cover with vibrant colors on the inside spreads to tell the story of how People Incorporated helps their clients tame the black beast of mental illness into a gentle giant.